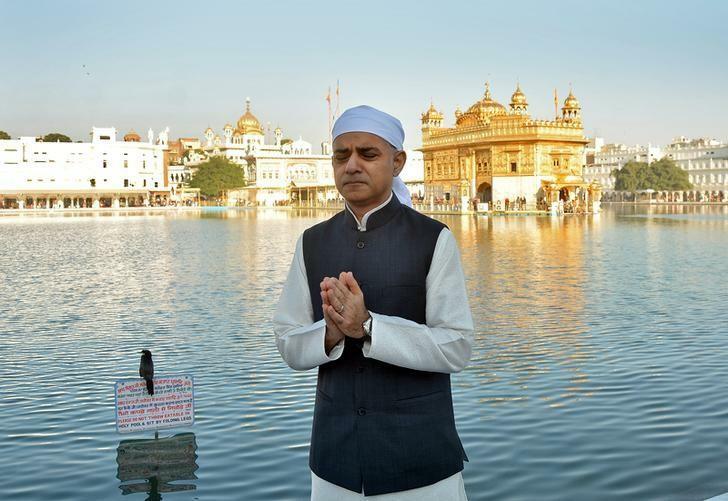 Mayor of London Sadiq Khan on Wednesday said that the British government should apologise for the 1919 Jallianwala Bagh massacre during a visit to the memorial site in Amritsar, before departing for Pakistan. The massacre, in which British troops opened fire on thousands of unarmed protesters in the city of Amritsar, remains an enduring scar of British colonial rule over the subcontinent. Former British prime minister David Cameron described it as deeply shameful when he visited the memorial during a 2013 trip to India, but stopped short of an apology. Writing in the visitors’ book, Khan said it had been “incredibly moving” to see the site of the massacre, calling it a tragedy that should never be forgotten. “It is time for the British government to finally apologise,” he wrote. “Poignant visit to the Jallianwala Bagh memorial and gardens in Amritsar today, where I paid my respects to all those who lost their lives in the horrific Jallianwala Bagh tragedy in 1919,” Khan wrote on Twitter later. Colonial-era records show about 400 people died when soldiers opened fire on men, women and children in the enclosed area, but Indian figures put the toll at closer to 1,000. In 1997, Queen Elizabeth II laid a wreath at Jallianwala Bagh during a tour of India. But her gaffe-prone husband Prince Philip stole the headlines by reportedly saying that the Indian estimates for the death count were “vastly exaggerated”. Khan, the son of a Pakistani immigrant bus driver in London, also laid a wreath at a memorial to the victims. Earlier in the day, he visited the Golden Temple, the most revered place for the Sikh religion, where he covered his head with a white cloth and sat cross-legged on the floor to eat at the community kitchen.